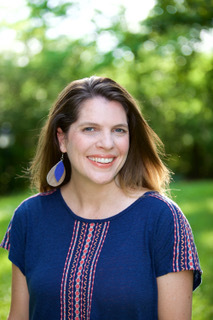 My quest to Reduce Clutter & Create Space for what matters most in my life has struck a chord with so many people, that I thought it would be appropriate and fun to spotlight the explorers joining me for this 2010 challenge. 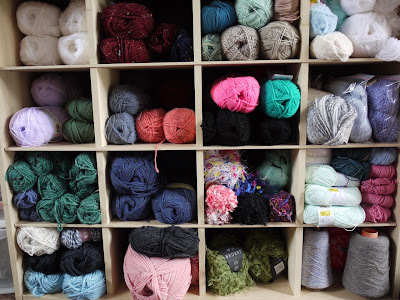 Anne, writer of her blog, Frayed at the Edge, has already conquered some amazing clutter and it’s only mid-January! Enjoy her reflections and suggestions for getting started. 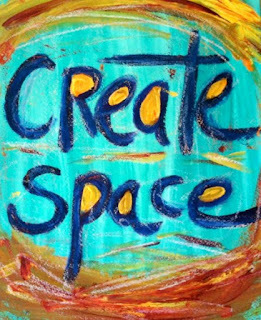 Why have you chosen to join the “Reduce Clutter; Create Space” challenge this year? I had already posted my resolutions for this year, which included clearing out things which I was unlikely to use, and making the effort to use what I have, instead of buying more. So this challenge reinforces my intentions. My immeditate answer to that would be too many ornaments. But, of course, there are different kinds of clutter. There is the clutter on my worktables in my studio, where I haven’t put things from one project away before starting on a new one. There is the clutter in my head…thinking about what I have done (or could have, or should have done). I think about what I should be doing – all those things that I ought to be doing – like boring housework! I have to learn how to let go of what I’ve done and can’t change, and stop fretting over what I have still to do. I have made a start in my studio. I have sorted out all my card making supplies, and I’m recycling a lot of things out of unnecessary packaging, so that I need less storage space for it. I have also started to sort through magazines and yarns, to remind me of what I have, so that I’m not tempted to buy more. I have been able to make space in my storage units and have eliminated piles of things that were cluttering the floor – which is a great help to me mentally. I like things to be neat and tidy…A Place for Everything and Everything in its Place could have been written for me! What’s been the easiest part? The hardest? Any surprises? The easiest part has been tidying and organizing. The hardest part is getting rid of things. I have lots (and lots) of magazines, and I just don’t want to part with them. But I know that I will never make all the things that I would like to, so I will be brave and give them away. What are your intentions for joining other ‘explorers’ on this journey? I think it helps to know there are other people who are trying to achieve the same goals, and they will understand and forgive any stumbles along the way! Any tips, thoughts, or suggestions you might want to share with others who are interested in starting to conquer the clutter in their lives? I think as the year goes on, and I make progress with giving things away and using things up (no more saying ‘That fabric is to beautiful to use!’) then I will feel better. I won’t have that feeling of too much to do, too little time to do it! 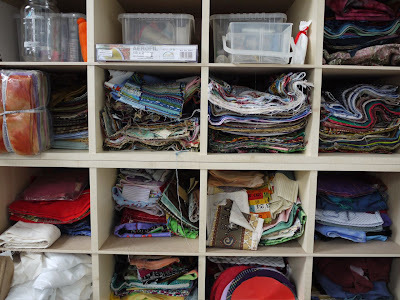 A BIG thank you, Anne, for giving us a glimpse into your reducing clutter adventure. You have inspired me to continue my quest, because as you simply stated, I know I just “feel better” when I do. Your Personal Reflection: What kind of physical, mental and emotional clutter are you holding on to? Need support? 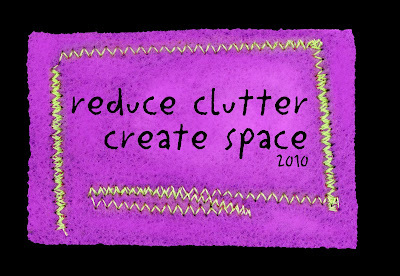 Let me know in the comments if you want to join the Reduce Clutter; Create Space 2010 explorers. Blech. I'm going to be moving soon… and my issue is that I have SO MUCH to go through before the move… I'd really like to package it all up and make some money to help with the move, but I think realistically I'm at a point where I just need to get it all out of here. It's keeping me from feeling ready for this move. I usually give my things away before selling them because I just want them out. Moving is a good opportunity for that. Hmm…can you rally troops to come help you? Make it a party of some kind…order pizzas, make ice cream sundaes and have a swap with friends. Make sure they bring a box or bag home, or better yet…just help you move? Good luck!! Great interview! The organized cubbies are a fantastic idea. Thanks for the motivation! 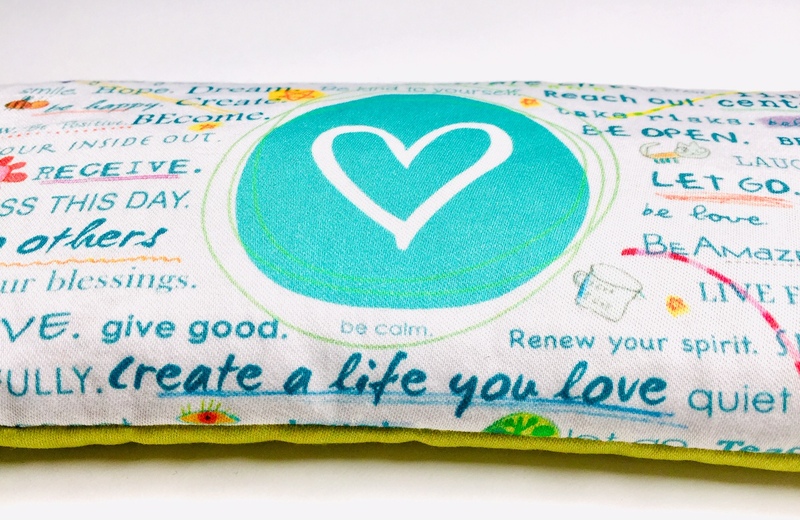 Last summer I started a "summer shedding" project (my mission to rid myself of life-clutter)…I used the book Throw Out 50 Things as my inspiration. Now I'm a bit of a de-clutter-holic. On a weekly basis, I rid myself of items I don't need, use, or love (often by giving them away, re-purposing them, or donating to charity). To manage mental-clutter (stress), I set out to slim down my schedule and tally the times I was able to say “no” for my own sake. This practice has brought me much sanity. How do I go about joining the Reduce Clutter and Create Space club? S.E. Minegar…I've added you to our reduce clutter team! So happy you are joining us.